Andrews Computers, offering you higher levels of control, efficiency and security so you have good protection in place at all times. Andrews Computer Services can guarantee the highest levels of performance and uptime for your server. 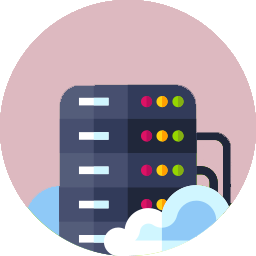 Whether you have dedicated or cloud hosting, our team of IT engineers can enhance server performance, offering you higher levels of control, efficiency and security so you have good protection in place at all times. With regular monitoring, we’ll scan your servers for any irregularities or potential failures, troubleshooting problems in a timely fashion – long before you’ve even had the opportunity to discover an issue. One of the biggest concerns for businesses is losing valuable data not just for the financial implications, but for the damage it can cause to your reputation. No matter what server setup you have, we can ensure all personal and business information is backed up and stored securely. It’s understandable why 74% of businesses say that cyber security is a high priority for their organisation’s senior management, and with cyber crime continuing to climb it’s vital that your server is managed and maintained by an experienced IT team. We can provide virus scanning, spam filtering, firewall configuration and operating system updates to support and protect your most complex applications. Every business has its own processes, culture and goals, and there can never be a one-size-fits-all solution. As a Managed service provider in Hemel, we work closely with our clients to deliver a solution that’s specifically designed to suit their budget and individual requirements. We pride ourselves on building strong relationships with our customers, taking on a proactive approach to ensure they continue to create new opportunities and increase profitability. In addition to resolving problems before you know they exist, we can also reduce costs and help you streamline processes, playing a major role in promoting growth.